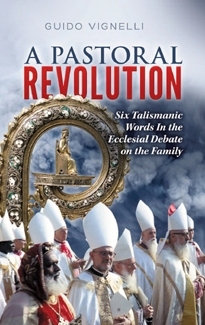 A review of the book, A Pastoral Revolution: Six Talismanic Words in the Ecclesial Debate on the Family. Language changes over time, so the linguists say. Many changes creep in as people use and reuse a word over centuries. Sometimes, though, a change in meaning is quite deliberate. That is the topic of Guido Vignelli’s book, A Pastoral Revolution: Six Talismanic Words in the Ecclesial Debate on the Family. Although not familiar to English speakers, Mr. Vignelli resides in Italy where he is a scholar of ethics, political philosophy and communication science. He wrote the book based on his over thirty years of dealing with Church teaching on the family. Mr. Vignelli was especially involved in the controversy surrounding the two Synods on the Family in 2014 and 2015. 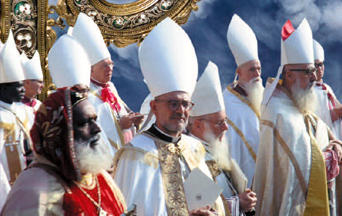 He collaborated with the three bishops who authored the 2015 booklet, Preferential Options for the Family: 100 Questions and Answers Revolving around the Synod. Mr. Vignelli spotlights six “talismanic” words whose meanings have been deliberately twisted so that they sound familiar, but carry very different meanings. Each of these terms has been recast by modernists within the Church to make their radical ideas sound comfortingly familiar. Those words are pastoral, mercy, listening, discernment, accompaniment and integration. Thus, the word “pastoral” is an expressive example of this tactic. Originally, pastoral described a life of rural quietude, like that of a shepherd watching his sheep. The scriptural description of Our Lord as the Good Shepherd caused this word to be used to describe the proper care of a church pastor toward the congregation of his parish. Thus, the modernist priest, faced with a cohabitating couple will handle this “pastoral” situation very differently than a traditional priest. A traditional priest will inform the couple that their relationship violates Church law and involves them in mortal sin. At that point, the sacraments are closed to them until they cease sinning, confess it, and obtain absolution. Should one or both perish in their sin, the threat of Hell is very real. The modernist priest will tell the couple of God’s mercy and invite them into the life of the parish without judgment. They can then fully participate in the “modern” parish by receiving the Eucharist. They could also have their children baptized, sing in the choir or teach in the parish CCD program. To deny them any aspect of parish life because of their immoral relationship would not be “pastoral.” Of course, this leaves their soul in mortal peril—but that is easy to ignore if everybody feels good about it. The other five words in the book are likewise analyzed, showing how their meanings are changed and interrelated. While written before the release of the apostolic exhortation Amoris Laetitia in 2016, the book is very timely since it discusses the language employed in the document. 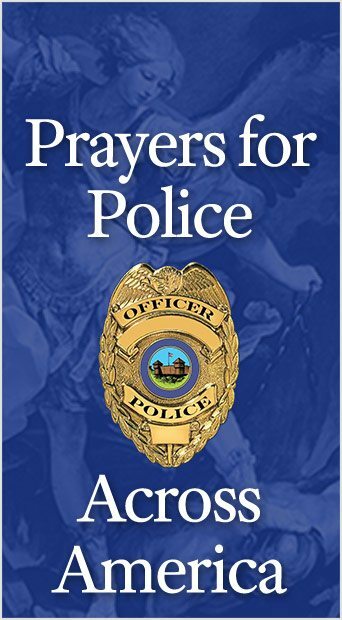 This slim volume will assist anyone who wishes to examine better the exhortation and the controversy surrounding it. By exposing the process of changing the meaning of “talismanic” words, Mr. Vignelli has done a great service for those who may be confused by the sweet sounding phrases that have brought radical change into Holy Mother Church. This entry was posted in TFP Recommends Books, The Church Shall Prevail and tagged ambiguity, ambiguous, Book Review, Catholic, change, changing the meaning, Church, error, Family, Guido Vignelli, marriage, modernist, nature, pastoral, Pastoral Revolution, radical change, talismanic, talismanic word, Tradition, Traditional, word by Edwin Benson. Bookmark the permalink.